BOLT is a new category of entertainment developed by users for users - focusing on live TV and snack-sized content for an individual mobile experience, which is now live in Kenya, Indonesia, Malaysia, and Brunei. Some of BOLT content partners include Al Jazeera, Discovery Channel, Citizen TV and Channel NewsAsia. BOLT aims to be the world’s first open entertainment economy, guided by the principle that empowering the community to bring more access to information and equality of opportunity on a global scale. 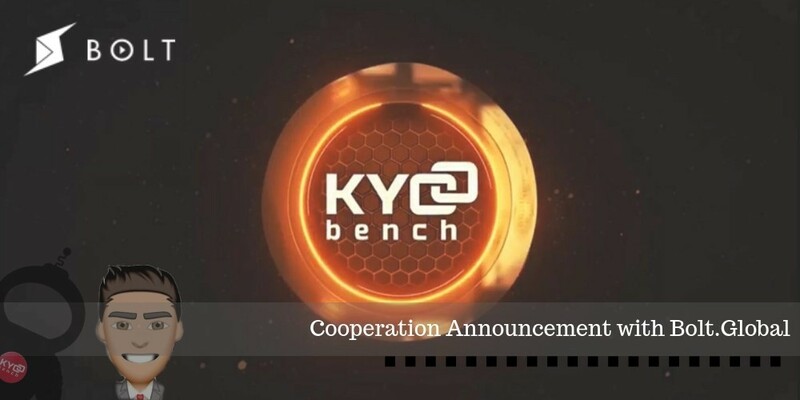 Concept of the belief that access to information, education and entertainment is a universal right for everyone is fully supported by KYCBENCH and therefore our mutual cooperation is aimed to facilitate the exchange of experiences and to disseminate information on good practices in order to strengthen confident position and acceptance of blockchain in the modern world.